Airtel Network introduced new affordable data bundles for their subscribers. The data bundles are of two and they are 2gb for N200 and 4gb which goes for N500. Indeed, the data plans are very cheap and affordable for all to use. With any of the data(s), you can access the internet, having that you subscribed for any of them. These data plans work on all device as you may know, but the very funny thing about it, is that it only allow users to use 2G network to browse with it, if not, it won't browse or download anything. Well, that is not considered as a problem at all, since all you need to do if incase you are on 3g network, is just to switch over to 2g network. In case you don't know how to switch over your network in your android device, this is how to do that; Goto your phone settings >> Mobile Networks >> Network Mode >> (choose 4g or 3g or 2g.) As you are choosing, make sure you choose 2g for this particular data bundle. These Airtel data plans are official, so you got to use the preferred network signal. Since that's how Airtel network wants it to be. So all you need to do, is just to use it by applying the necessary policy attached to it. 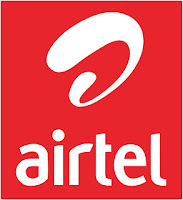 To subscribe for airtel 4GB data bundle that is billed at N500, just Dial this code *483#. Note: The validity of this 4gb data bundle is 28 days. So after the 28days, it will expire for real. 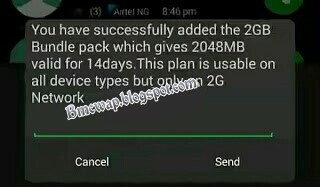 To subscribe for Airtel 2GB data bundle billed at N200 only, just dial *482#. The validity of this data plan before the expiring date is 14days. That's it. Why I like this data so much is that, you can always connect with it in any location that has poor network signal, since it uses 2g network to connect. How do you see it? Before switching to 2g network in order to use it, first and try if it will work for you on 3g network. A friend of mine told me it was working for him with that. So I was thinking if it could be because of his location or is it that the 3g network his using is very poor in signal, who knows. But in all that, make sure that the data bundles are really working for you. Help a friend to know about this, by sharing this to him or her using the share buttons below.